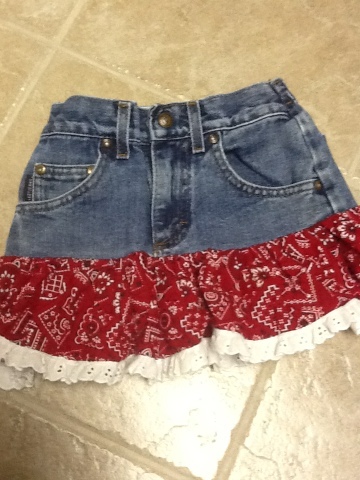 Up cycled skirt from jeans | ARTZCOOL'S BLOG! Samantha and Dylan are going on a trip to the Toronto Symphony with school tomorrow, so of course, the most important thing on my daughter’s mind was what to wear. 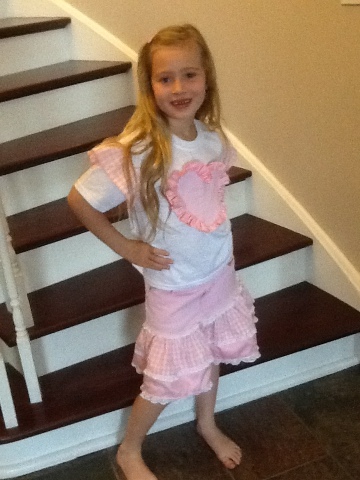 She decided that she needed a dress or a matching skirt and top, and that she should design and make her outfit. 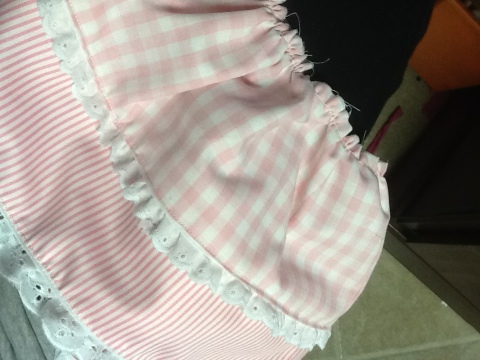 Once again, i think my kids think it’s normal to design and sew a new outfit for the next day when they need something to wear…. Anyways, I did have an idea. Sam had this skirt when she was younger and it has always been one of my favourites, so I kept it to use as a guide. 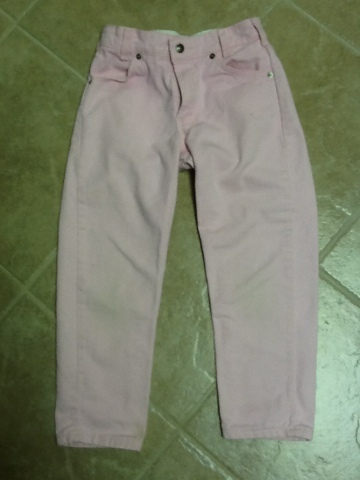 Here are the jeans we picked to work with. 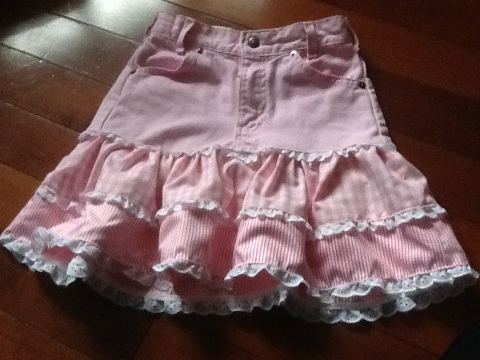 They are now a little too short for her, but still fit at the waist, so they are perfect for this. 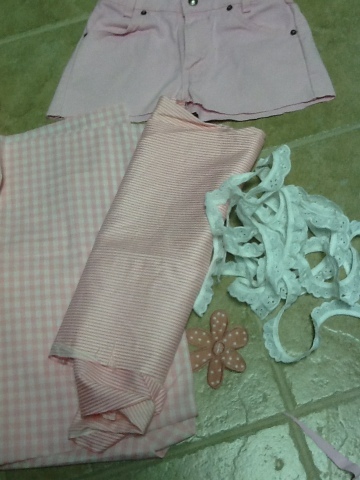 So, since Sam was the designer, she picked out the fabric and lace she wanted from my scraps. 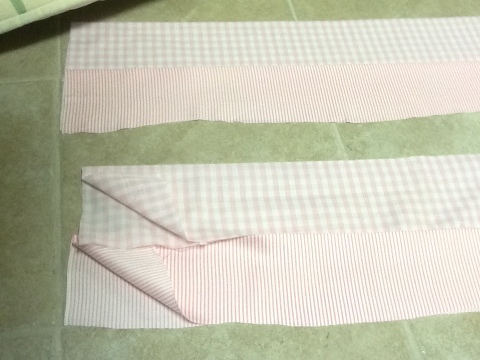 Then, we cut two long strips of each fabric about six inches wide, and about double the width of the skirt. I pressed the strips in half, then sewed both end the two strips together, so they formed a continuous loop, with one folded edge. 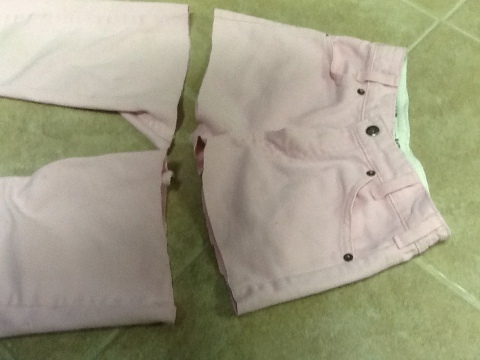 I pinned the two pieces of fabric together so the fold of one piece overlapped the raw edge of the other. 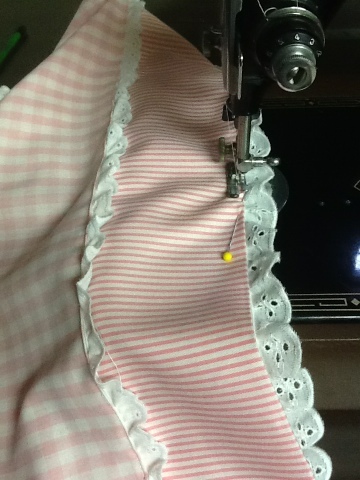 As I was pinning, I tucked in the lace piece, and then sewed all the way around. Then I pinned the lace to the bottom as well, because according to the “designer”, there had to be lace on every part because that is “the prettiest.” Fine. So, that’s basically the skirt. If you have a serger, you could definitely use that to finish your edges. 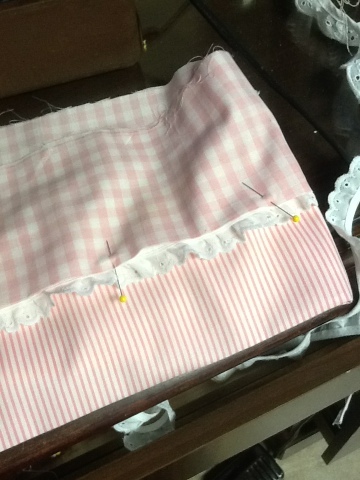 Now, to attach the skirt to the skirt top, I sewed all the way around the skirt, close to the top edge using the longest stitch on my machine, then I pulled the top thread to gather the material, so the skirt was the same width as the skirt top. 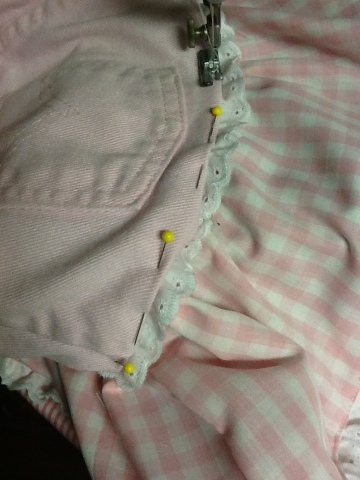 Then I pinned the lace around the skirt top, and then pinned the skirt bottom to connect the two pieces together. 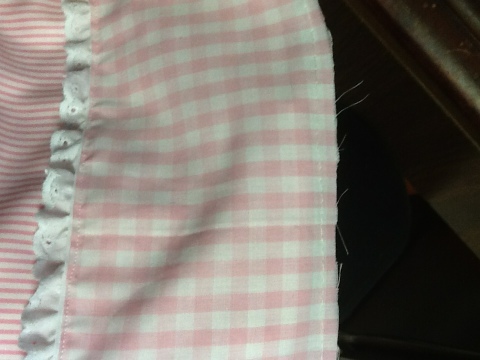 I top stitched the layers together, but once again, you could easily serge this seam. Here is the finished product. As you can see, I followed the designers instructions to add a couple details to make a matching shirt. All ready for the symphony! 729,828 Views! Tell your friends! New lining for my new Louis Vuitton Purse! !